Nursing home neglect and abuse is on the rise nationwide. Medicare, a primary payor of long-term care, rates nursing homes on a scale of 1 star to 5 stars so that potential residents and their loved ones can make an educated choice on which facility is best for them. Recently, by way of the Centers for Medicare & Medicaid Services (CMS), 5 different Delaware nursing homes received a 1-star rating. How does Medicare rate nursing homes? CMS uses a number of resources to rate nursing homes. CMS’s health inspection database – This database includes information about the nursing home gleaned from recent state investigations and inspection. Namely, the CMS database helps provide information on health inspection results and penalties a nursing home has received. Payroll-Based Journal (PBJ) system – The PBJ system takes reported hours worked by staff and allows CMS to review these numbers. The numbers are provided to CMS on a quarterly basis and are audited by CMS for accuracy. This staffing data runs from high level positions, such as the Director of Nursing, all the way down to the lower level staff, such as nurse aides. CMS uses the PBJ system to review a facilities total staffing, as well as their staffing of RNs. The Minimum Data Set (MDS) national database -The MDS database is uesd to measure the quality of care a resident receives at a facility. The MDS assessment is completed on every resident in a nursing home that is a Medicare or Medicaid certified facility. These assessments are done at regular intervals and provide information on the resident’s phyiscal and mental health, as well as their general quality of life. CMS looks to the MDS database to review a facilty’s quality of resident care as well as staffing per resident per day. Medicare claims data – CMS looks at facility bills to determine readmission rates at hospitals, emergency room visits and discharges. Which facilities received 1-star, and why? a third resident not receiving the required assessment after beginning a anti-psychotics regimen. not providing laxatives to a patient even though a doctor ordered it. The Delaware Veterans Home, which is a state run facility, was lacking programs to fight infections and appropriately use antibiotics, according to a January 30, 2018 health inspection report. In the report, it was noted that there were in effect no real infection prevention training or programs. One example explained how a nurse administered eye drops in an infected eye and did not adequately clean the eye dropper before using it on other eyes. Instead, she utilized a tissue to wipe the dropper in between uses. 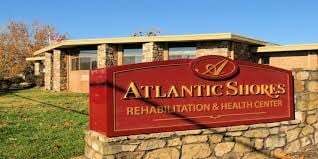 According to a May 11, 2017 health inspection, the facility failed to accurately report instances of nursing home abuse. In one of the cases, a female resident alleged that she was sexually assaulted by a male resident. The employees did not report the alleged assault after the male resident denied the allegations. This is against the correct protocol – an incident report should have been generated by the employees for further investigation. Even with an investigation finally occurring, “the facility failed to immediately report the allegation …, failed to initiate a timely and thorough investigation and failed to protect (the resident),” the report stated. The facility failed to properly label and maintain drugs, according to an April 11, 2017 inspection report. The report noted multiple insulin bottles were opened without any recorded date on the bottle. This is egregious because insulin is only good for 28 days once opened. The facility also lacked adequate infection prevention and control programs. The facility did not give residents the freedom of choosing when and how to bathe. Instead, this choice was made for them depending on availability of nursing aides.